Team USA played against Brazil in the semifinal match. This was their second meeting of the tournament and adrenaline was running high. This time around Brazil played the US team a lot tougher. They got into the passing lanes and got in some hard hits to show Team USA that they were not backing down. Four defensive mistakes led to easy goals for the US, which led 4-0 at the end of the first half. The overall experience of Team USA overpowered Brazil in the second half. Their strong offensive attack and intense defense allowed them to control the entire second half. They scored five goals in the half while allowing no goals themselves. This is still an inexperienced Brazil team that is trying to get adjusted to this game. They showed that they have the potential to be great in the near future. The most impressive thing about this team is that they don't back down from anyone. This was a great win for Team USA and hopefully they can ride this momentum into the finals. In the final match of this tournament, Team USA found themselves in the Championship game. Australia started the match with a strong offensive surge, having a couple of set plays on the US’s defensive side of the court. However, Team USA’s defense was too much for the Australian offense to handle and their surge was ended quickly. The American defense translated to a very smooth offensive attack that the Australian National team could not withstand. The US offense caused Australia to stretch out on defense and commit many mistakes. America capitalized on these miscues by creating them into shots on goal and set plays. Eventually, this combination of shots on goal and set plays created a three-goal lead for the US at the end of the first half. The second half of play continued to occur in the same fashion as the first. Team USA’s offense controlled the entire half and Australia committed miscues repeatedly. The focus points of this American offense are strong accurate passing, great execution of set plays, and complete control of the possession battle. This was the main theme of not only this match but also the entire three-day competition for the United States. In the process, Team USA added three more goals to their lead. When the match was over, the US was on top 6-0 and claimed the title as champions. The offense of America was the deciding factor for all their successes in this tournament. Out of all the statistics that Team USA put up, the most incredible feat is how the US defense only allowed two goals during this competition. 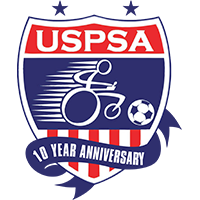 The result of this tournament shows that America is the powerhouse of power soccer in the world. Newer PostTeam USA 2017 SELECTED!